Zingonia Zingone is a multilingual poet, a novelist, and a translator whose work has been published in Spain, Mexico, Costa Rica, Nicaragua, Italy, France, and India. Her most recent publications are Los naufragiosdel desierto (Vaso Roto, 2013) and Las tentaciones de la Luz. In English, she published two books in India: Acrobat of Oblivion and Light, the Temptation. 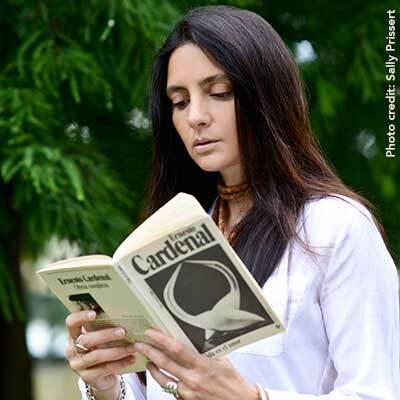 Her translations include Virus Alert by Marathi poet Hemant Divate and two works by Nicaraguan poet Claribel Alegría - the awardwinning Voces/Voci and 2018’s Amore senza fine. She is also a contributor to the Italian digital magazine Minerva.